Royal Kona Resort became the first hotel on Hawai‘i Island to become a Blue Zones Project Approved Worksite. 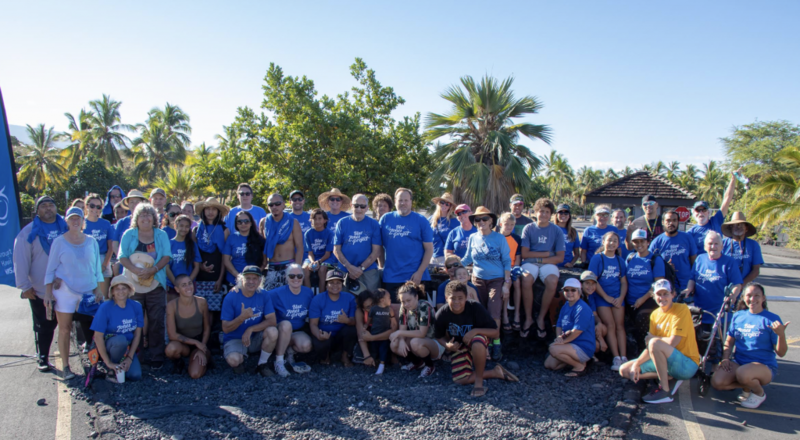 Brought to Hawai‘i through an innovative sponsorship by HMSA, Blue Zones Project is a community-led well-being improvement initiative designed to make healthy choices easier through permanent changes to lifestyle, environment, policy and social networks. Royal Kona Resort is an oceanfront landmark in the heart of Kailua-Kona, centrally situated near Ali‘i Drive and a variety of restaurants, shops, historical sites and activities. 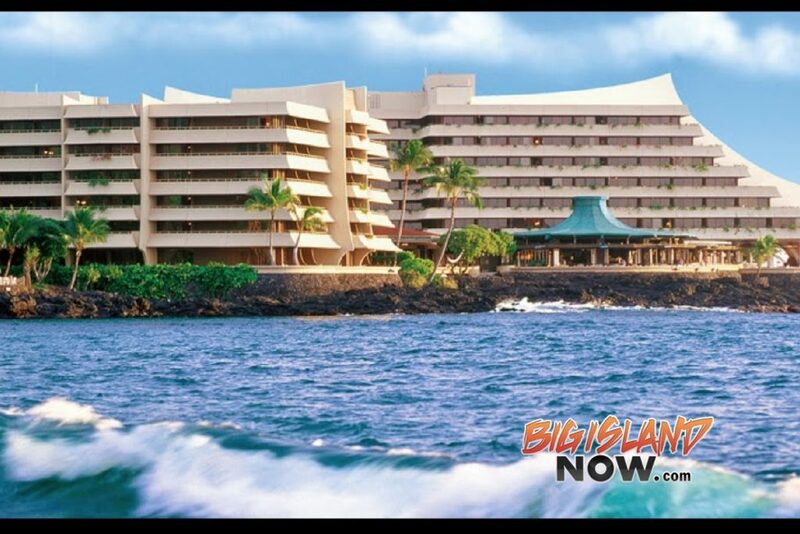 This year, Royal Kona Resort will celebrate its 50th anniversary. The hotel is a family of employees, many of whom have worked at the property for over 30 years. One struggle shared by many of the staff is health: employees dealing with their own serious conditions, or caring for family with serious conditions while still trying to work to meet their family’s financial obligations. 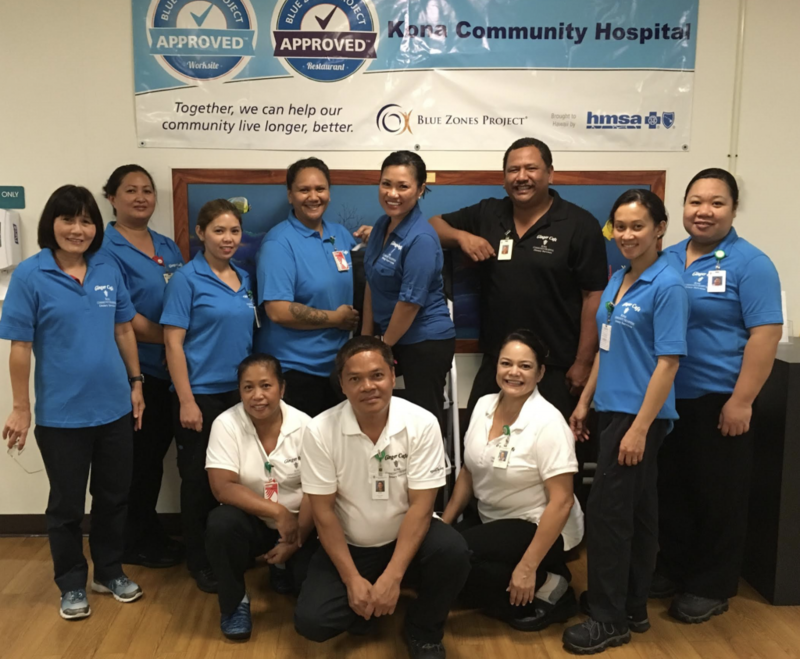 While the hotel has provided health and leave benefits to support its employees, Royal Kona Resort wanted to take a more proactive approach to promote healthy behaviors and possibly prevent and/or improve the health conditions of its employees. For Royal Kona Resort, the Blue Zones Project approval is just the beginning. To learn more about becoming a Blue Zones Project Approved worksite, contact the Blue Zones Project team at Leeann.Heely@sharecare.com or visit hawaii.bluezonesproject.com. 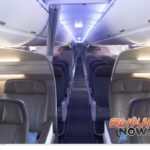 For more information on the Royal Kona Resort, visit www.royalkona.com. 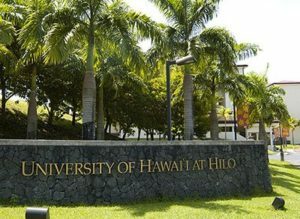 Blue Zones Project is a community-led well-being improvement initiative, brought to Hawai‘i by HMSA, designed to make healthy choices easier through permanent changes to a city’s environment, policy and social networks. Established in 2010, Blue Zones Project is inspired by Dan Buettner, a National Geographic Fellow and New York Times best-selling author who identified five regions of the world—or Blue Zones—with the highest concentration of people living to 100 years or older. Blue Zones Project incorporates Buettner’s findings and works with cities to implement policies and programs that will move a community toward optimal health and well-being. Currently, 42 communities in nine states have joined Blue Zones Project, impacting more than 3.3 million Americans nationwide. Blue Zones Project is a division of Sharecare. For more information, visit bluezonesproject.com. Caring for the people of Hawaiʻi is HMSA’s promise and privilege. Working with employers, providers, government decision makers and consumers, HMSA aims to reach its Māhie 2020 vision of a community health system: a system to support the many health and well-being programs and projects that are already underway in the state. HMSA reaches out to people where they live, learn, work and play, so it can empower each and every person to take control of their own health and well-being. HMSA is the most experienced health plan in the state, covering more than half of Hawaiʻi’s population. As a recognized leader, HMSA has a commitment to develop reliable, affordable health plans; support members with clear, thoughtful guidance; and embrace its responsibility to strengthen the health and well-being of our community.